Metit List: The Merit List shows a particular class’s section’s shift’s total merit positions with name GPA, Total GP, Total marks and subjects failed. 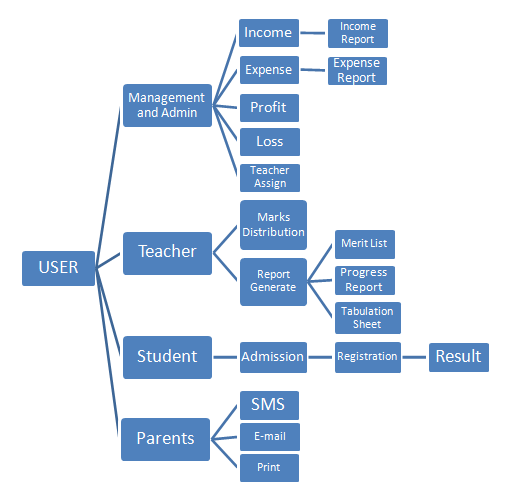 Teacher Assaign: With the help of this software a teacher can be assigned according to group, shift, section and class. Mark Distubition: In this section marks of students are given or awarded by the authorized user according to group, shift, section and class. Aptituite: In this section Aptitudes of students are given or awarded by the authorized user according to group, shift, section and class. Regarding their children by SMS, Email and website.Distributing classes of absent teachers who are in same department and instantly informing them by an alert SMS. Parents can ensure all the information of a student in the online by giving ID number.